One of the most memorable aspects of my pastoral visit to the United States was the opportunity it afforded me to reflect on America's historical experience of religious freedom, and specifically the relationship between religion and culture. At the heart o every culture, whether perceived or not, is a consensus about the nature of reality and the moral good, and thus about the conditions for human flourishing. In America, that consensus, as enshrined in your nation's founding documents, was grounded in a worldview shaped not only by faith but a comittment to certain ethical principles deriving from nature and nature's God. Today that consensus has eroded significantly in the face of powerful new cultural currents which are not only directly oppossed to core moral teachings of the Judeo-Christian tradition, but increasingly hostile to Christianity as such. For her part, the Church in the United States is called, in season and out of season, to proclaim a Gospel which not only proposed unchanging moral truths by proposes them precisely as the key to human happiness and social prospering (cf. Gaudium et Spes 10). To the extent that some current cultural trends contain elements that would curtail the proclamation of these truths, either constricting it within the limits of a merely scientific rationality, or suppressing it in the name of political power of majority rule, they represent a threat not just to Christian faith, but also to humanity itself and to the deepest truth about our being and ultimate vocation, our relationship to God. When a culture attempts to suppress the dimension of ultimate mystery, and to close the doors to transcendent truth, it inevitable comes impoverished and falls prey, as the late [St.] Pope John Paul II so clearly saw, to reductionist and totalitarian readings of the human person and the nature of society. With her long tradition of respect for the right relationship between faith and reason, the Church has a critical role to play in countering cultural currents which, on the basis of an extreme individualism, seek to promote notions of freedom detached from moral truths. Our tradition does not speak from blind faith, but from a rational perspective which links our commitment to building an authentically just, humane, and prosperous society to our ultimate assurance that the cosmos is possessed of an inner logic accessible to human reasoning. The Church's defense of a moral reasoning based on the natural law is grounded on her conviction that the law is not a threat to our freedom, but rather a "language" which enables us to understand ourselves and the truth of our being, and so to shape a more just and humane world. She thus proposes her moral teaching as a message not of constraint but of liberation, and as the basis for building a secure future. The Church's witness, then, is of its nature public: she seeks to convince by proposing rational arguments in the public square. The legitimate separation of Church and State cannot be taken to mean that the Church must be silent on certain issues, nor that the State may choose not to engage, or be engaged by, the voices of committed believers in determining the values which will shape the future of the nation. No one who looks at these issues realistically can ignore the genuine difficulties which the Church encounters at the present moment. Yet in faith we can take heart from the growing awareness of the need to preserve a civil order clearly rooted in the Judeo-Christian tradition, as well as from the promise offered by a new generation of Catholics whose experience and convictions will have a decisive role in renewing the Church's presence and witness in American society. The hope which these "signs of the times" gives us is itself a reason to renew our efforts to mobilize the intellectual and moral resources of the entire Catholic community in the service of the evangelization of American culture and the building of a civilization of love. There has always been a fundamental difference between the experience of single men and single women. Single men--"Bachelors." Single women--"old maids." But the biggest problem, at least where I sit, is when the church gives us the Smug Marrieds from the Bridget Jones novels and turns it into an area of completing overlooking/forgetting/not attending to the single women in their midst. This isn't just a parish problem. It's a whole church problem. If you are a Catholic single woman who is relatively young (I'm 35, am I relatively young?) , I challenge you to find a ministry that cares about your needs. Most of them say "oh, we cater to all women!" No, you don't. You don't if the big social events in your parish are dances or things that otherwise require a partner--even if you say they don't. Seriously, who goes to a dance stag once they're out of high school?! Now, I can understand that married Catholic women need something that's for them. That's fine. I can see the need there. There's a lot of pressure for married Catholic couples in this society. I can see that they need time alone (as in, sans kids) and to re-charge. Totally. That's a legitimate need. But it's getting old, because there is nothing for single Catholic women that aren't discerning a religious vocation. Seriously. NOTHING. Big. Fat. ZERO. And not only is there nothing specifically for us, but the things that are supposed to be for women in general are almost always totally geared to women who are wives and mothers--and it's not advertised that way. When I go on retreats, there's almost always a lot of mentions of husbands and kids. Why can't we just focus on being Catholic women? I just sit there and smile and doodle in my notebook. When I go to my diocese's Catholic Women's conference, a lot of the time, all the speakers are married women. As a single woman, I often sit through talks that have absolutely no bearing on my experience. But that never happens the other way around--a talk about single women, with married women in the audience. You can be a wife and mother, and yet talk about things that are applicable to all women. Believe me, I'd love to be a wife and mother. It would make me incredibly happy. But I'm not. I can't wish a husband and children into being a la Cinderella's ball gown. A lot of Catholic women's organizations do not realize, or meet, the need that single Catholic women have for fellowship (which is a word I hate, but it works here), understanding, and the desire to live out our vocation as a Catholic woman authentically, no matter what our family situation. Does this happen to men? At the Catholic men's breakfast or lunch or the men's retreats, is it all about being a husband and a father? I dunno. But I would sort of think not--and hope not, because then they're in the same boat that we single women are. And no, I don't think that being single is "my vocation." I'm just saying, throw us a bone once in awhile. Or at least, don't be a Smug Married. Please, please, please, Catholic parishes and Catholic women's groups, focus on all women. Not just the married ones. Not just the moms. All women. How do we do this? I think it's pretty simple, myself: Focus on creating groups that help everyone live out their faith, together. Things like parish-wide Bible studies. Faith sharing groups. Even coffee groups that meet once a month in the evening or whatever, for everyone to get together and talk and pray. Have a book club that's open to all adults. Don't have meetings at 10 AM on a week day that are the only meeting of the women's group! That's great for retirees, but not so much for working young people. And in the social media realm--focus on all women. Ensure that if you say you're for all women, that you really are in your representation. Now, the obvious response to all this is, "Well, start one! Duh, Emily. Get off your duff!" I don't mind running things. My personality is actually really good at running things (I'm an ESTJ, for you Myers-Briggs people) . And maybe, eventually, I'll get there. But this isn't a problem just for me. It's a much larger problem, outside the realm of my parish. And I am, actually, talking with friends of mine about getting things going at my own parish. But that's not why I'm writing this. I'm writing this to bring attention to the larger issue that a lot of us face. I love you, married women. A lot of you--you know who you are--are great friends and mentors to me. But. Lara Casey said something really good at MTH: All stories matter. And yes, that includes the stories of the singletons. It's raining. It was snowing earlier and my car was covered this morning. It's also been pretty cold but at the moment it's warm enough to rain and not ice, which is a blessing. Really. She is also the patroness of Mexico, the Americas, the Philippines, and the unborn. On Wednesday, it's the feast of St. John of the Cross, who wrote the "Dark Night of the Soul", and many other spiritual classics. He was a contemporary of St. Teresa of Avila, and at one point was her confessor and spiritual director. I'm reading Fire Within right now, about both of them, so my spiritual reading is timely! (It's a great book. You need to read it slowly. It's long. But it's great.) Since I've given you food recommendations for every other day, I'd go with something appropriately Spanish here. Or, you know. Tacos again. And then on Saturday, it's time to get excited, people. It's the beginning of the O Antiphons, and it's a week until Christmas Eve! Getting ready for Christmas with the rest of the housekeeping. Wheeee, right? :) And my dishwasher is broken, so I'm hoping the guy will be out to fix it today. I've been trying to do a sketch every day this month, and I've been keeping up with it pretty well. My goal is to finish my current sketchbook by the end of the month. I've got about 13 pages to go, so it's definitely doable. A Christmas song for you! This past weekend, I went on a silent retreat offered by the Catholic Laywomen's Retreat League in my diocese. So, after a day or two to let my thoughts coalesce, I bring you the fruits of my contemplation! I'm afraid that regular Bible reading has never been on my list of things I do. I do lots of other spiritual reading. And of course, as I say the Office every day, I'm reading/praying scripture, particularly the psalms. But a regular habit of Bible reading has always eluded me. In retreat, I pondered this. I read so much otherwise, why in the world wasn't I reading the Bible regularly? I think part of it was I allowed myself to say, "Oh, I'm not good at lectio." And I'm not, really. But at the same time, do I have to do lectio? No. I can just read the Bible and ponder what I've read without making a whole big production out of it. So I am going to get Deep into the Word. The retreat began on the feast of St. Jerome, who gave us the Latin Vulgate, and who famously said "Ignorance of Scripture is ignorance of Christ." No more ignorance. I'm daily diving into the Word and seeing what fruit it reaps. But above all, it's the Gospels that occupy my mind when I'm at prayer; my poor soul has so many needs and yet this is the only thing needful. I'm always finding fresh lights there, hidden and enthralling meanings. I "try" to make it to Daily Mass--not every day, but at least once a week. I put "try" in quotation marks because I don't really try. I don't put it in my schedule at the beginning of the week. That changes. Now when I do my weekly schedule, I'm going to ensure that once a week, Mass is written in. Mass is the "source and summit of Christian life" . If I believe that, I need to be getting myself to Mass ore than just on Sunday. You will not live this life of holiness, confidence, abandonment, and peace which I have preached to you so far, except in the measure to which you drink at the fountain of living water, the fountain which flows unto eternal life, the fountain of the altar. These three things are all interconnected. And it's sort of hard to explain. But I'm gonna try! St. Thérèse knew that Jesus calls us just as we are. If you remember Bridget Jones' Diary, think of the scene when Mark Darcy tells Bridget, "No, I like you very much. Just as you are." Same principle at work here. Jesus knows that we are small and frail humans. But if we count on Him to help us, to make up for what we do badly, then we are well on our way to confident trust. "I can do all things in Him who strengthens me," as St. Paul says. (Phil. 4:13) We have to be confident and trust that Jesus will help us. "Never be discouraged by your faults," Fr. D'Elbée writes. As long as we are trying, advancing, then we're growing in holiness. It's when we think we're done, or we back slide, that there's a problem. We have to abandon ourselves to Christ. "We open our arms to him," Fr. D'Elbée continues, "yet we close the doors of our intelligence, of our will, of our heart, but not living in this abandonment. We bid Him come, but we do not permit Him to enter...'What shall I do? How shall I do it?' listen to Him saying to you, 'Let me do it.'" Mother Angelica talked a lot about the present moment, and that's involved here, too. What is happening to us in each moment is God's will for us. So in reading these chapters and bringing them to prayer, I realized that event hough I'm working on these things, I need to work on abandonment and real love--loving Jesus every moment, in every action, knowing that Jesus sees my heart and knows me better than I'll ever know myself. In Romeo and Juliet, the apothecary that sells Romeo the forbidden poison does so because he's under financial strain. "My poverty, but not my will, consents," he tells Romeo. "I pay thy poverty, and not thy will," is Romeo's reply as he receives the deadly draught. It's the same way here. Our nature might rebel against something. We might have thoughts or feelings that come and that we don't like. But if we don't will them, if we work against them, then we're making progress. It is confidence and nothing but confidence which will lead us to love. OK, so anyway, this weekend, I'm going on a silent retreat. I go on a lot of these; I try to go on at least one a year. If I'm lucky, I get in two. But one a year is absolutely vital, and I think everyone should try to go on one, because they are awesome. But why are they awesome, Emily? Because they don't sound awesome to me. And I'm busy. I have Stuff. I have Life. I can't just go retreat! OK, maybe you can't. But if you can, at all, you NEED TO! OK, I know that this will make a lot of you run screaming for the hills. Silence? For a whole weekend? I can't do that. I have to talk! God cannot talk to you if you're too busy yapping and watching Netflix and listening to Adelle and Facebooking and Face Timing and Messaging and Snapchatting and whatever else. I mean, he'll try. But if we take away all those distractions, all the talking, and we just sit and are quiet? It's a lot easier to hear God talking to you. Yeah, sometimes God speaks in the thunder. But sometimes he's speaking in the quiet, and he's easy to miss. Make it quiet so you can hear him! You have nothing to do in this retreat but be with God. That's it. You have nothing else to worry about. You are fed. You have a room that you don't have to clean. You have ample places to walk, to pray, and books to read, if you didn't bring your own. All you have to do is have quiet time with the Person Who Loves You The Most. (Yeah, that would be God.) You can do that however you want, as long as you don't break the silence. You can say the rosary. You can sit in the chapel and just stare at the tabernacle. You can go to confession. You can journal. You can read. WHATEVER. But the whole point is to grow in your spiritual relationship with God. Nothing stays stagnant. If you are staying stagnant, you're not growing. You're decaying. Think of flowers that don't blossom, or an apple tree that doesn't give apples. Something's wrong. You need to continually grow in the spiritual life. Retreats are a great way to do that. Every retreat I've been on, there's been something new I've learned. Sometimes it's from the retreat master's talk. Sometimes it's from prayer in the chapel. Sometimes it's from a book I'm reading. But I always learn something new. There is refreshment in retreat. Since life is stripped to the bare essentials, you don't feel like you have to be Chatty Cathy at the lunch table. You don't have to worry about laundry and cooking and all the other mundane things. You can just be. A retreat is fantastic self-care. You have to refresh yourself in order to continue growing. You need water just like a plant. A retreat is a great way to get that refreshment. Now, you don't need to do a silent retreat. They're my preferred retreats, because I find that I can really hear God best that way. But you can do retreats that let you talk. :) But some degree of quiet is important when it comes to retreat. They're meant to be introspective. You're meant to spend a fair amount of time on your soul and God and prayer. That being said, I also love Catholic Conferences, like the Columbus Catholic Women's Conference. Holy hours are also a great way to refresh yourself in the middle of life, if you can't get away for a weekend. But if you can, at all, I'd suggest trying a weekend retreat. It might bear more fruit than you ever thought! two saints in a photograph: Pope St. John Paul II and Mother Teresa. Since Mother Teresa is being canonized on Sunday, I thought today I'd put up seven Mother Teresa quotes. Enjoy! I love the Eucharist. I could write a whole tome on it, here. I realize the Eucharist is one of the more misunderstood Catholic doctrines. So we're talking about first communion, but we're also going to talk about the Eucharist more generally. OK? OK, so first off, what is the Eucharist? Catholics believe that the Eucharist is the Body, Blood, Soul and Divinity of Jesus Christ. It's not a symbol. After the bread and wine have been consecrated by the priest, it IS Jesus Christ, here, present, fully, in the host. We take Jesus at His word when he said "this is my body." We take John 6 seriously. If it's just a symbol, then, so what? Why do it? Why have it? But to us, it's not a symbol. It is JESUS CHRIST. That's why we have Eucharistic adoration, why we reserve the sacrament in the tabernacle, and why we treat it (or should treat it!) with reverence. It's why we genuflect when we go into the pews--because Jesus Christ is actually present in our churches, in the Eucharist. Since we treat the Eucharist so reverently, not just anyone can receive it. That's why First Communion is such an important sacrament to Catholics--it's the day when you can receive Jesus in Communion for the first time. This is huge! For Catholics, you have to be at the "age of reason", which is seven years old. You have to be able to understand Who you are receiving. That doesn't mean that you have to understand the Ins and Outs of Transubstantiation, but you do have to know it's not just bread the priest is giving you. In some places, First Confession precedes first communion. But for our purposes, we'll talk about that later. I always told my CCD kids that I never, ever wanted to see them go up to communion sloppily. The number of people I've seen just shuffling up to communion, like they're going to receive a hot dog at a baseball game! NOOOOOO! STOP IT! You should be totally aware to what you're doing and Who you are about to receive. Going back to our discussion of matter and form: The matter is the unleavened bread and wine. No, you cannot use grape juice, or Pepsi, or water. It must be wine. And no, you can't use bread from Kroger, or Doritos, or pita bread, or crackers. It must be unleavened bread. I was absolutely shocked the first time I went to a Protestant service (it was orientation at college--I couldn't get to Mass, but then did offer Catholic communion from an extraordinary minister of communion). The pastor got out a loaf of Kroger bread, and Kroger grape juice. You don't have to receive both species (that's what it's technically called--the species). At my parish, we never offer the wine to the communicants. It's only ever the Host. But that's OK.
After the priest--and ONLY the priest--says the words of consecration, the bread and the wine have BECOME the Body and Blood of Christ. You don't believe what you believe about it, so why would you say you do? That's what the "amen" after "The Body of Christ" means. Why would you do something that's basically a lie? Bad form! Communion isn't like a hand stamp that indicates you participated at Mass. Plenty of people go to Mass and do not receive communion (all the kids under 7, for example). You can participate fully in the Mass without receiving. I know, your head is spinning here, but it's possible! Receiving communion isn't like getting a heavenly check mark. "OK, Mr. Jones is here....." It is perfectly permissible to attend Mass and not receive Communion. In fact, if you're not properly disposed to receive, it's the better option! Here are the USCCB's guidelines for receiving communion. Like I said above, I love the Eucharist. I get very upset when I see people not treating the sacrament with the reverence it deserves. That means churches where the tabernacle is basically in another room, away from the sanctuary; where people just go up to receive like, la-di-dah; etc. Catholics! You are receiving God! 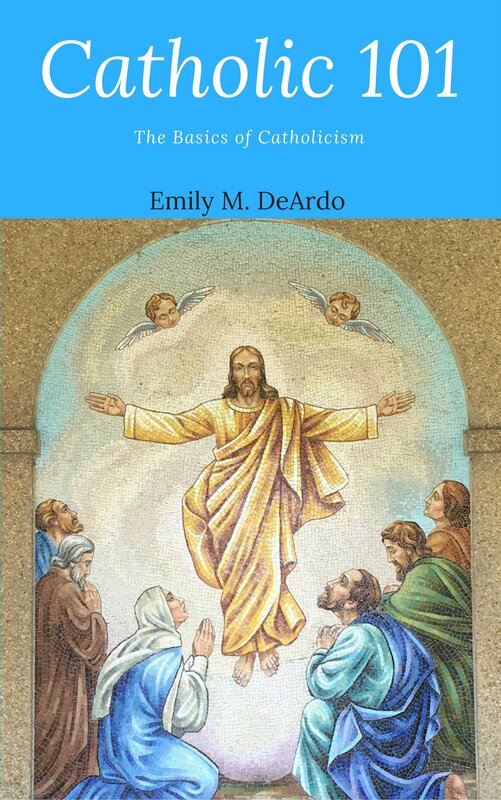 Jesus is physically present in every Catholic church. If that doesn't fill you with awe, you need your awe-meter checked. Catholics, please remember what a supreme gift we have in the Eucharist. Treat it accordingly! Here's a piece I wrote about him last year, and here are some profiles of Dominican saints. In the area of Catholic news this week, here is an article about Cardinal Sarah asking for ad orientem worship everywhere, starting in Advent. For those of you who aren't into technical liturgical details, "ad orientem" means "toward the east"--basically, in this style of worship, during the Eucharistic Prayer, the priest is turned toward the east, or, with his back to the congregation. Everyone is facing the same way, as it were. Ad orientem does not mean "in Latin". You can offer ad orientem worship within the confines of the "normal" English Mass. The only difference would be the direction the priest is facing. I'm not a huge fan of the Mass in Latin, I gotta be honest. I feel like I'm just sitting around watching the priest do things. However, I realize it might take time to get acclimated to it. But ad orientem worship seems like something we should try. So many Catholic churches don't even look Catholic these days. Yes, some moving the altar work might be involved, if you don't have an older church, like mine, which still has the high altar. But I think making the Mass more reverent isn't a bad thing, and it's probably sorely needed. And also in the FYI category: Jeopardy! July 18th. Watch it. It'll be more fun than the convention that starts that day....eyeroll. I mean, right? Isn't that the way it works? What's the longest friendship you've ever had? I gotta say I'm impressed with twenty years. That's more than half our lives at this point. Tiffany and I met in a theater class in high school--alphabetical seating is our friend. Amilia and Sue I met in freshman choir. My friend Tom I met in Freshman French....and I've known my friend Branden since we were three years old. No kidding. That's sort of amazing, if you think about it. On Holy Saturday, I had a revelation in the bath tub. Well, not actually in the tub. Getting out of it. My parents and I were going to the Vigil Mass that night, so I was washing my hair in preparation for that. I got out of the tub and began to comb my hair. I finished combing my hair, put it up into a wet, drippy bun, and noticed that the tub had some standing water in it. Why isn't it draining? I went over to look, and saw that one of my knitted washcloths had fallen from its perch, and was suctioned to the drain, stopping the water from flowing. And as I took the washcloth away and the water began to drain, I thought, That's what sin is. Sin is that washcloth. The washcloth was permeable--some water was getting through, but not enough to keep the water flowing freely. Sin is that washcloth. Venial sin doesn't stop us from having grace, or receiving grace--but it's hard for it to get through, the more sin is piled up. Mortal sin is like the drain being completely closed--nothing is getting through. Removing the washcloth allowed the tub to drain quickly. Going to confession opens the channel up again, and grace flows freely. OK, it's probably a bit of a labored metaphor. But that's what hit me, as I was drying myself off on Holy Saturday. We normally didn't go to the Vigil, but this year we decided to break tradition. The Vigil is in four parts, and it starts with the Service of Light, when the Paschal candle is carved and lit. For maximum impact, obviously, we start when it's dark. But also for liturgical reasons--we're anticipating Christ's resurrection, which happened before dawn on Easter Sunday. So the Mass can only begin after sunset. There are nine readings, telling us the history, which tell us the whole history of salvation, and the gorgeous Exsultet is sung: "O happy fault, o necessary sin of Adam, which gained for us so great a redeemer!" This is also the night that the Church gains new members. At the Mass we attended, 18 people joined the Catholic Church, which is definitely something to celebrate! Good Friday is the only day of the year in which there is no Mass. On the day of the ultimate sacrifice, we don't recreate that sacrifice in our liturgy. Instead, the service for Good Friday (which used to be called MOPS--Mass of the Pre-Sanctified) is divided into three parts. As Richard John Neuhaus wrote in Death on a Friday Afternoon, things in this story happen in threes. I adore the first reading--Isaiah's Suffering Servant. I wrote out the entire first reading here. I was born on Good Friday, so maybe that's why I'm so attached to this reading, and this liturgy as a whole. The veneration of the cross is my favorite part. If you've never seen it done, essentially the priest takes a crucifix (or a cross, depending on what the church has) and the people come up to kiss, bow, prostrate themselves before it, or otherwise honor the cross. It's a BIG cross--don't think any sort of wall-sized crucifixes here. Ours is about five or six feet and it's beautiful. Everyone can come up and individually venerate the cross as he or she wants. Watching the kids do it--kiss Jesus' pierced feet, or his knees, which are right about at eye level with them--is always a touching part of this. During this the choir sings the reproaches and some hymnody. All music is unaccompanied today. The church itself is very stark: no altar cloths, no candles, no statues on the altar. It's all removed. At St. Pat's, we do the tre ore--the three hour reflection on the Seven Last Words of Jesus. It's three hours (not continuous) of meditations on Jesus' death, and what His last words to us were. The priests take turns giving the meditations, because they're also hearing confessions from noon to 2:45. I'm very solemn on Good Friday. I come home and watch The Passion of the Christ, and I have a small dinner, but generally I don't do anything other than read, pray, and attend service. Holy Thursday is sometimes called Maundy Thursday, from the word mandatum, "mandate", referencing the order Jesus gave His disciples after washing their feet. At my parish, the feet of 12 men are washed, and it's usually the Dominican community (we currently have four priests and one cooperator brother in residence, but we usually get one or two extra with us for the triduum), the altar boys (we only have altar boys), and, if that's not enough, the lector or another man from the congregation. The pastor then washes one foot of each man, while the choir sings. It's done reverently and relatively quickly (meaning it's not a slog to go through--everyone's got this down to a science, by now). Of course, this Mass also celebrates the Institution of the Eucharist, which is the focus of Mass (which is the "source and summit" of our Catholic lives). Our Eucharistic beliefs are really one of the richest parts of Catholicism for me. My freshman year in college, I was a member of the debate team. And my debate partner (there were two people on a "team", so our team had a few different teams) and I would debate a lot more than just our assigned debate topics, like famine in the Horn of Africa. He wasn't Catholic, and he had questions about Catholicism. Proofs for Transubstantiation aren't hard to find; John 6 immediately springs to mind. I brought that up with my partner. "It's just a metaphor!" "Jesus knew when to use metaphor and simile. He does it all the time. The Kingdom of Heaven is like a mustard seed. Or a fine pearl. But he doesn't do that here. He's pretty explicit. And wouldn't He have had to clarify his remarks, since, to the Jews he was talking to, He's suggesting something crazy radical? Jews don't have anything to do with flesh and blood together. They're freaking out here. But Jesus doesn't say, 'wait, you guys, you're wrong! It's a metaphor!'" "But that's what it is. It's just bread and wine!" If it's just a symbol, than to hell with it (as Flannery O'Connor said). To Catholics, the entire Mass is built around the Eucharistic sacrifice--the moment of transubstantiation. (This means, by the way, that when the bread and wine are consecrated ["This is my Body", "This is my Blood"] they become the Body, Blood, Soul, and Divinity of Christ, even though they look like plain old wafers and wine. In the triduum, Mass doesn't "end" the way it normally does--the Triduum Masses/services are all one big liturgy. So after the Prayer After Communion, the Sacrament is taken, in procession, to an altar of repose, usually decorated to resemble a garden (like Gethsemane). The Eucharist isn't reserved in the Tabernacle--the Tabernacle is empty, and the sanctuary lamp (the red candle) that is usually lit, indicating the presence of Christ in the Tabernacle, is extinguished. At the Altar of Repose, you can pray in silence until midnight, when no more solemn adoration is allowed, until after Easter. I usually stay for about a half hour, reading the Bible and a few other things. This year I read John 14-17, the Great and Final Discourse of Jesus at the Last Supper, and I was overwhelmed with the way certain things spoke to me; so much so that I decided it would be my lectio for the coming days, and it has been. It's so theologically rich. I'll be sharing those notes with you later. The Gift of the Eucharist is one of the supreme gifts of Catholic life. I love this Mass that celebrates it, and kicks off the triduum. The Eucharist, as Christ's saving presence in the community of the faithful and its spiritual food, is the most precious possession which the Church can have in her journey through history. All's pretty quiet over here, for Holy Week and the Triduum. Time is being spent contemplating so, in the Dominican fashion, I can "share the fruits of contemplation." In a special way, let's pray for Belgium, another country added to the sad role of those affected by terrorist acts. Let us pray that terrorism will cease, and that the Prince of Peace can bring us peace. he shall be raised high and greatly exalted. / Even as many were amazed at him--/so marred was his look beyond human semblance/ and his appearance beyond that of the sons of man--/so shall he startle many nations, / because of him kings shall stand speechless; / for those who have not been told shall see,/ those who have not heard shall ponder it. Who would believe what we have heard? / To whom has the arm of the Lord been revealed?/ He grew up like a sapling before him, / like a shoot from the parched earth; / there was in him no stately bearing to make us look at him,/ nor appearance that would attract us to him./ He was spurned and avoided by the people,/ a man of suffering, accustomed to infirmity,/ one of those from whom people hide their faces,/ spurned, and we held him in no esteem. Yet it was our infirmities that he bore,/ our sufferings that he endured,/ while we thought of him as stricken/ as one smitten by God and afflicted./ But he was pierced for our offenses,/ crushed for our sins;/ upon him was the chastisement that makes us whole,/ by his stripes we were healed./ We had alone gone astray like sheep,/ each following his own way;/ but the Lord laid upon him the guilt of us all. Though he was harshly treated, he submitted/ and opened not his mouth;/ like a lamb led to the slaughter/ or a sheep before the shearers,/ he was silent and opened not his mouth./ Oppressed and condemned, he was taken away,/ and who would have thought anymore of his destiny?/ When he was cut off from the land of the living,/ and smitten for the sin of his people,/ a burial place was assigned him among the wicked/ and a burial place with evildoers,/ though he had done no wrong/ nor spoken and falsehood./ But the Lord was pleased/ to crush him in infirmity. If he gives his life as an offering for sin,/ he shall see his descendants in a long life,/ and the will of the Lord will be accomplished through him. Because of his affliction/ he shall see the light in fullness of days;/ through his suffering, my servant shall justify many,/ and their guilt he shall bear./ Therefore I will give him his portion among the great,/ and he shall divide the spoils with the might,/ because he surrendered himself to death/ and was counted among the wicked;/ and he shall take away the sins of many,/ and win pardon for their offenses. Yes, it's that time again--Lent! Time to think about what to give up, what you're going to eat on Fridays, and things like that. I did a weeklong series on Lent a few years ago, and you can read it here. I cover fasting, prayer, alms giving, stations of the cross, and more. Think of it as a basic Lent primer in seven parts. Here is Pope Francis' Lenten message for 2016. Since it's the Year of Mercy, going to confession at least once before Easter should be on our list of Lenten musts. And of course, Restore! If you haven't registered yet, there's still time to do so. All the details are here. Later this week I'll have my Lenten book post up, if you're looking for reading suggestions.